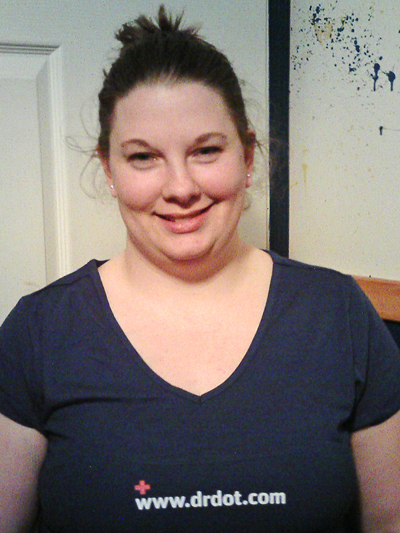 My name is Bridget and I graduated from the Seacoast Career School in Manchester NH, with the study of Massage Therapy in December of 2010, which is a 900 hour program, more than the state requires 750 hours and licensed by the State of New Hampshire in February 2011. Prior to getting into Massage Therapy, I had worked in retail for the last 10 years (part-time), after high school trying to go to college for a degree that I thought that I had always wanted and found out wasn’t the best fit for me...and after a few years of trying to decide what I wanted to do next...I got a flyer in the mail and a few months later I was sitting in class for Massage Therapy. Currently I am attending classes at a local college for my Associates degree in Sports Management. I am expected to graduate in May of this year. I enjoy helping athletes getting ready for the “big game”, getting them pumped and excited to do what they love best.